✅ Trip Verified | Boarding process from Toronto to Brussels was good. They actually boarded the people at the back of the plane first, impressive. Once I got onboard and prepared for my flight I found that the phone jack in the arm rest had a connection issue as well at the USB port to charge my phone. It showed charging but and I checked up on it 4 times during the flight and it was not properly charging. Worn out electronic connections. To get full audio on my head phones I had to manually pull the conneciton to the right and this was very annoying for an entire flight. Watched one movie and gave up on the rest. Food on the Toronto - Brussels flight was very good. Seat comfort was ok on the longhaul but the Brussels to Athens flight was hard on the neck on the A321. 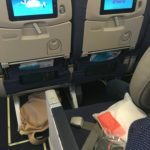 The main reason for this review was that Brussels Airlines didn't have any service on the Brussels to Athens flight. I paid a full international ticket at full value and I expected a meal and drink service as Aegean Airlines would have privided if they did this specific code share. Not even service of a glass of water for over 2.75 hours flight to Athens is terrible. If you buy a budget airline ticket for 40 Euros to 80 Euros like Ryanair I can accept this but not a full fare ticket with multiple Star Alliance Providers. ✅ Trip Verified | Tel Aviv to Brussels. Horrible service. Even water costs money. Snacks cost money. On the cheapest plan, there is no way to change your flight, not even for a fee. There is absolutely no cancellation refund (except for taxes). I contacted customer service. They were of absolutely no use. I would strongly advise considering an alternative. "now not even a low budget"
✅ Trip Verified | I am a weekly traveller from Brussels to Nice return. Since two years Brussels Airlines is achieving in 85 % of the flights a delay of min 30 min to min 60 min. If you have to believe the cabin staff it seems always someone else fault of the delay. Writing Complain letters is useless since you always get the same letter back (automized). Its a lack of respect for the consumer. 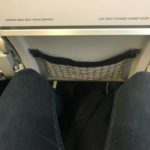 Shame on you Brussels Airlines! You used to be a premium air carrier, now not even a low budget. ✅ Trip Verified | Brussels to Lisbon. Very poor company. When they are not late, they will make sure that you pay (45€) for your trolley by stating it is not the right size. Their standard size is not standard and many of the bags you’ll buy as cabin luggage won’t fit. Most of the time you will end-up both paying and late. Service is inexistant. Food and drinks of very poor quality but very high price. ✅ Trip Verified | Copenhagen to Vilnius via Brussels. The trip was delayed by twenty minutes, but this was handled professionally by staff. Nice clean aircraft with good legroom. The food served was good, both with regards to quality and quantity. Cabin staff very attentive and jolly. As far as I am concerned this may be one of the best Business Class airlines in Europe, and the price was fair to what I got. ✅ Trip Verified | Copenhagen to Brussels. Not flying again with Brussels Airlines. After having a flight delayed for 5 hours due to operational reasons they refused to give me compensation. A colleague on the same flight, via a third party received the compensation. I did it the right way, via Brussels Airlines website. Brussels Airlines ignores my emails and calls, having done this for 2 months. "avoid this airline going forward"
Not Verified | London to Prague via Brussels. Full flight and they allow people to bring multiple bags, my soft cover bag is removed from the over head storage and handed back to me so that I can place it under my feet - it's not a small bag. 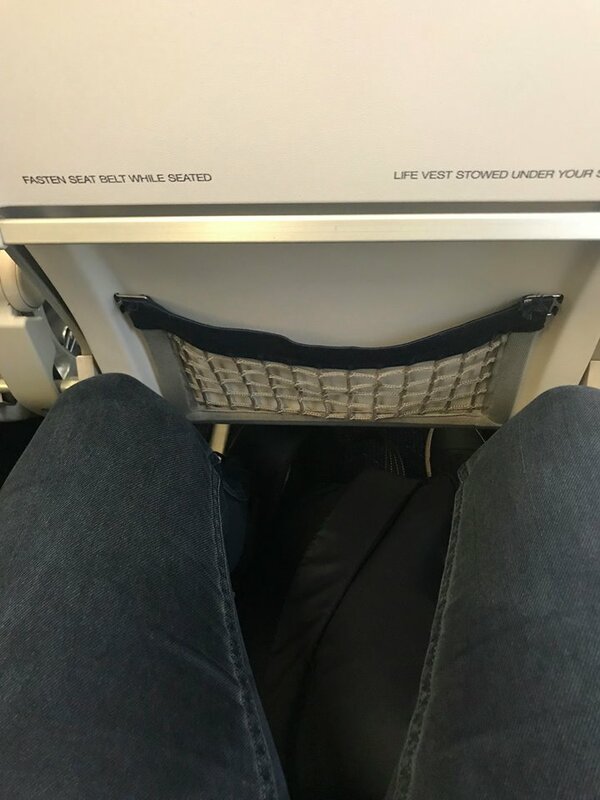 So much for any leg room. I will avoid this airline going forward. ✅ Trip Verified | Long haul service on Brussels Airlines is very good and I now have a number of experiences. On the positive side, a number of things: The service is very nice, the crew being very attentive to the comfort of the passengers. Food and wine are always good and nicely presented. The seat is a true lie-flat which is comfortable and the design of the business cabin is quite intelligent as you have the choice of truly individual seats or having a neighbour. The short haul flights between Brussels and Paris has improved since one year. On the negative side, 3 things: the choices of films and music are both limited and not very attractive (I'm not speaking specifically about this flight but in general) and if the commute in Brussels is often a pain it is only because of long queues at immigration with no fast track which must be unique in Europe. And a true shame: there is no business lounge available in Paris even if Brussels Airlines could easily use their Star Alliance partners lounges in the same terminal (LH and SAS). A big cherry on the cake: the price of the business tickets are truly most competitive. "wouldn’t allow cabin size bag"
✅ Trip Verified | Vilnius to Heathrow via Brussels. The staff at the boarding gate wouldn’t allow to take onboard cabin size bag with laptop arguing the have limited luggage space in the aircraft. Upon boarding it was obvious that 1/3 of luggage racks were empty. Why? 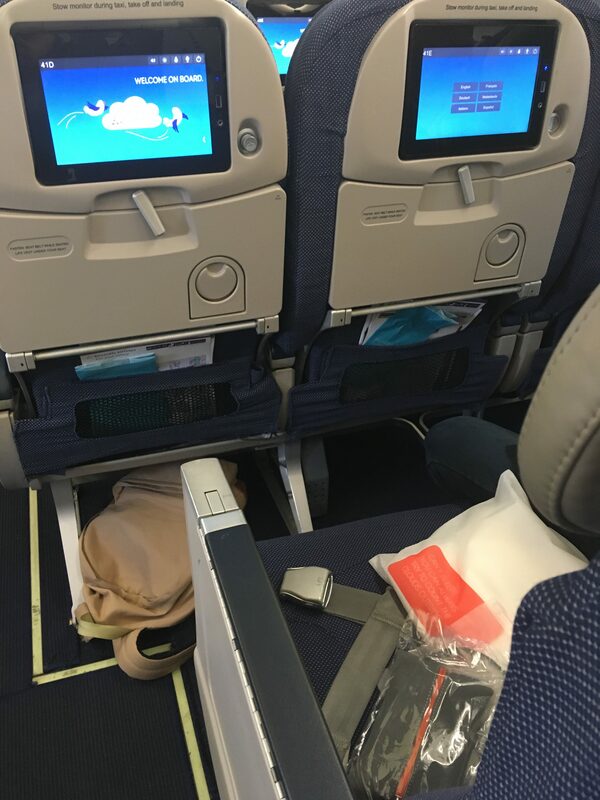 "seats were spacious and comfortable"
✅ Trip Verified | My first experience flying with Brussels Airlines, and I was impressed. The seats were spacious and comfortable, and I slept well when it was converted to a flatbed. IFE was OK, but there wasn't such a large variety of movies available. I enjoyed all of the meals that were served, and they were accompanied by a good selection of wines and beers - I really liked that they stock quiet a variety of beers, including ones from smaller, lesser-know brewers. The crew were all excellent - friendly, polite, attentive and chatty - they were proactive about drinks and refills, which was much appreciated. On my return, the flight was postponed for 24 hours, but the airline was very quick in sorting out accommodation and it was relatively painless. A good airline, made all the better by friendly and cheerful staff.